This handy pocket-sized field guide provides practical information and assistance to anyone engaged in small-scale surveys on the ground. Fully revised and updated throughout, the Fourth Edition includes comprehensive updates on the use of GPR and GPS and new sections on surface wave seismics and towed array systems. 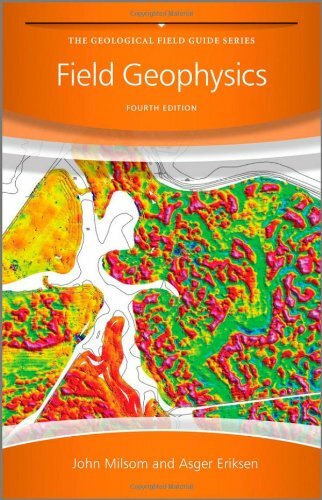 This has become the standard text in this area for use in the field and the experience of the two authors will ensure the book retains its place as one of the most popular handbooks in applied geophysics. New section on surface wave methods. Computation should be a good blend of theory and practice, and researchers in the field should create algorithms to address real world problems, putting equal weight on analysis and implementation. Experimentation and simulation can be viewed as yielding to refined theories or improved applications. The Workshop on Computation: Theory and Practice (WCTP)-2011 was the first workshop organized jointly by the Tokyo Institute of Technology, the Institute of Scientific and Industrial Research–Osaka University, the University of the Philippines Diliman, and De La Salle University–Manila devoted to theoretical and practical approaches to computation. The aim of the workshop was to present the latest developments by theoreticians and practitioners in academe and industry working to address computational problems that can directly impact the way we live in society. 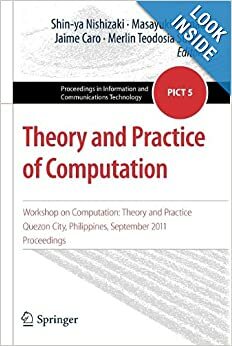 This book comprises the refereed proceedings of WCTP-2011, held in Quezon City, the Philippines, in September 2011. The 16 carefully reviewed and revised full papers presented here deal with biologically inspired computational modeling, programming language theory, advanced studies in networking, and empathic computing. The first develops a fundamental basis for understanding how the process works, and might be adapted to work better. 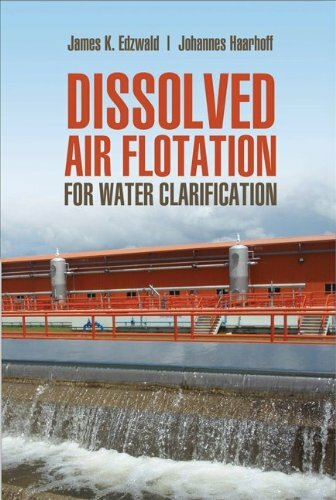 The second provides a reference for design engineers, water operators, and water managers regarding applications where DAF might be incorporated in an overall treatment scheme. The third develops the necessary DAF design concepts and to illustrate them by description of practical applications. Using DAF to remove particles is not only an important process for conventional drinking water plants, but may also be used as a pre-treatment process in membrane plants including reverse osmosis for water desalinization, and in water reuse applications. 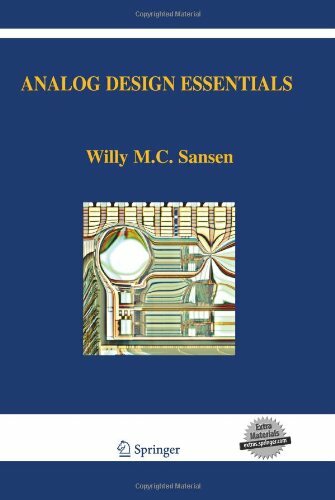 This unique book contains all topics of importance to the analog designer which are essential to obtain sufficient insights to do a thorough job. The book starts with elementary stages in building up operational amplifiers. The synthesis of opamps is covered in great detail. Many examples are included, operating at low supply voltages. Chapters on noise, distortion, filters, ADC/DACs and oscillators follow. These are all based on the extensive amount of teaching that the author has carried out world-wide. 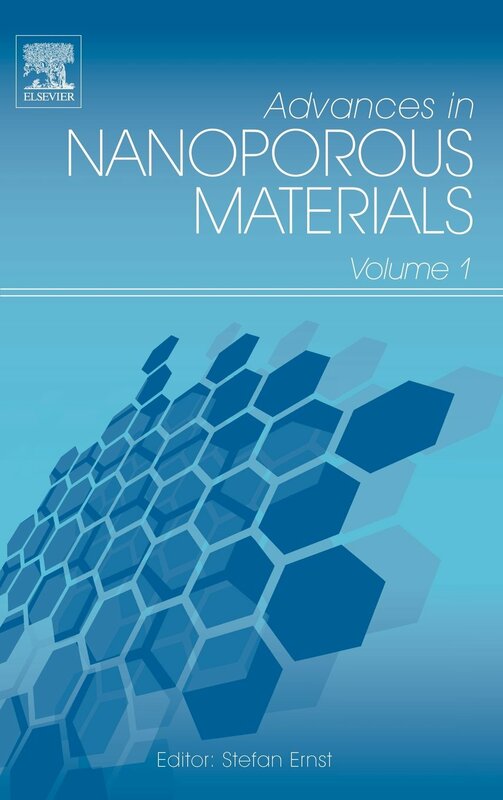 Advances in Nanoporous Materials is a collection of comprehensive reviews of lasting value to the field. The contributions cover all aspects of nanoporous materials, including their preparation and structure, post-synthetic modification, characterization and use in catalysis, adsorption/separation, and all other fields of potential application, e.g., membranes, host/guest chemistry, environmental protection, electrochemistry, sensors, and optical devices. “Nanoporous materials” comprise all kinds of porous solids that possess pores in the range from about 0.2 nm up to 50 nm, irrespective of their chemical composition, their origin (natural or synthetic), and their amorphous or crystalline nature. Typical examples are zeolites and zeolite-like materials (e.g., crystalline microporous aluminophosphates and their derivatives), mesoporous oxides such as silica, metal organic frameworks, pillared clays, porous carbons, and related materials. Library Press Display is a stand-alone web-based portal designed specifically to meet the needs of libraries and educational institutions. Library Press Display has become the media destination of choice in more than 7,000 libraries and educational institutions around the world providing full digital replicas of current-edition newspapers and magazines to students, teachers and researchers. Read over 2,200 full-content newspapers and magazines from 97 countries in 54 languages! Email us at library@engglib.upd.edu.ph or ask.a.librarian@engglib.upd.edu.ph for the username and password. The College of Engineering Library spearheaded its “6th Kapihan sa Aklatan” last August 30, 2013 at The Learning Commons of Engglib2, UPAE Centennial Hall. This annual library orientation and forum aims to orient the new faculty members with the use of library resources, facilities, and collections; discover subject-specific and multidisciplinary electronic resources and update them with the features of upcoming online resources of the library. Faculties who attended were familiarized with their privileges and acquainted with the different information resources (print and e) available for their research, teaching and study needs. The event, headed by Ms. Sharon Maria S. Esposo-Betan, pave way for the opportunity to meet and greet other faculty members while enjoying the aroma of coffee in the library setting. Inspired by the COE Library tagline “Innovate.Recreate.Collaborate”, the librarians also demonstrated an in- house developed system, the COE “Institutional Repository”, a database where faculty members can deposit and access their scholarly works in digital format. A total of 15 COE faculty members attended the said activity; 12 of them were new faculty members from the following Departments/Institute: Institute of Civil Engineering (3), Department of Computer Science (3), Electrical and Electronics Engineering Institute (2), Department of Industrial Engineering and Operations Research (3), and Department of Mechanical Engineering (1) while the three (3) faculty members who also came were Library Faculty Committee Representatives namely: Dr. Florencio Ballesteros Jr.- LFC Chair (EnE), Ms. Lestelle V. Torio (ICE) and Ms Jennifer J. Fabular (ME). Four online providers namely CE Logic, LibTech (iGroup), Megatexts and Springer supported the activity. They provided orientation on the use and access of current and upcoming databases they are providing to the COE Library. They also sponsored some give-aways and exciting prizes for the raffle where three lucky new faculty members won cell phones and a tablet. Again, to our library partners, welcome. Thank you for your participation in the Kapihan sa Aklatan 2013.